Curran during his days with Roscommon. 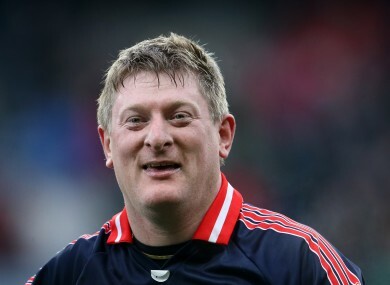 FORMER ROSCOMMON GOALKEEPER Shane Curran sees no issue with intercounty players having an occasional drink, provided it is done so sensibly. Wexford’s 22-year-old forward Jack Guiney was dropped from the squad for a breach of discipline by manager Liam Dunne over the weekend as they suffered a heavy defeat to Kilkenny in the Leinster SHC semi-final. And speaking on RTÉ 2fm’s Game On tonight, Curran criticised managers’ decisions to impose blanket bans on alcohol, saying they need to trust players to make the right call themselves. “I think it’s a joke,” Curran said. “At the heart of the GAA is the players, who are the be-all and end-all in my view. “They give up their time quite freely, they get dog’s abuse morning, noon and night in a lot of counties depending on their results. And, in a lot of cases, these incidents are blown completely out of proportion by jealous, muppeteers in the localities. “They will pick up the phone to managers and say ‘such and such is having a pint and he’s blind drunk’ when he may have only been having a couple of shandys with his family or his girlfriend for a night out or a meal or whatever it may be. I think the top managers don’t even bother putting these bans in because they trust their players and they understand them. “And if there are one or two of them that like a pint, they will quietly say ‘if you want to have a couple after the match, or a Friday night before a game if that makes you feel good, do so privately in a situation where you’re not going to leave yourself open to this type of charade’. “I really think some managers don’t have the confidence in themselves to support their players in a lot of ways, and also they want to rule with an iron fist,” he added. “It works sometimes but you’ve got to remember that players are human beings. “They have the same problems outside of football that everybody else has. And maybe they could do with that release of an odd pint or the odd fag now and again, which they are well-entitled to. Email “'It's not as if they're drinking a bottle of brandy in the dressing room'”. Feedback on “'It's not as if they're drinking a bottle of brandy in the dressing room'”.